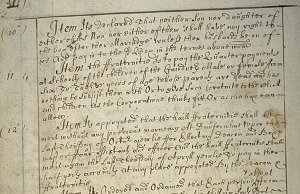 The first lodges of which there is written evidence were formed to promote, regulate and support the craft of gardening and the gardeners themselves. The records of the gardeners of Haddington and Dunfermline both survive from before 1800. Early rules concern spreading information and new varieties of plants throughout the membership. The rules also state that money will be used to help distressed widows, orphans and the poor (of the lodges). In time, mutual aid became the most important function of the lodges. They began to attract members from among those who were not gardeners. By the nineteenth century the lodges were mostly benefit societies. 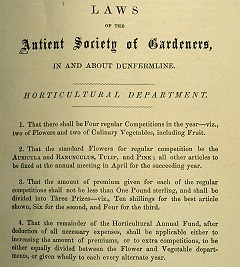 Dunfermline went as far as forming a separate section for those interested in horticulture. Lodges provided sickness benefit and pensions as well as grants and annuities.